Birds-foot Trefoil is a native Irish wildflower perennial that grows throughout Ireland in pastures, hedgerows, roadside verges, riverbanks and coastal areas. 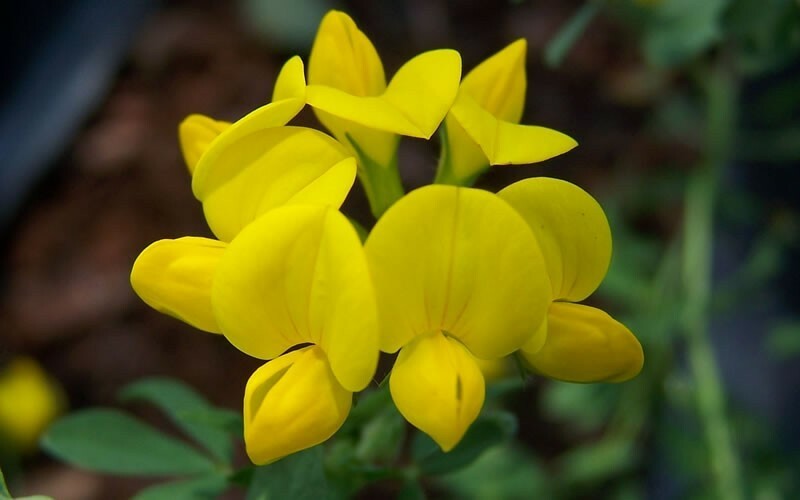 Birds-foot Trefoil grows to 35cm high and flowers from June to September producing bright yellow blooms that are often patterned with streaks of red. 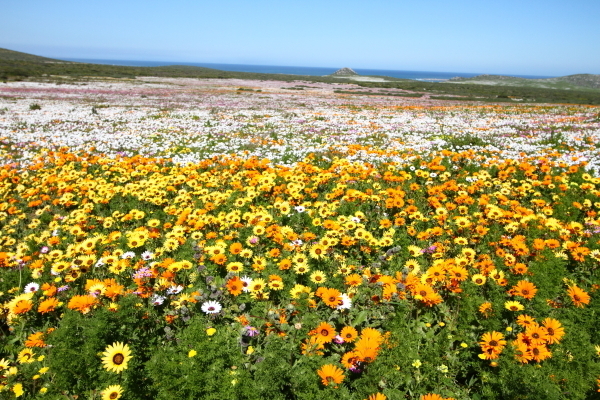 The yellow flowers are an important source of nectar for many species of insect, including Bees and Butterflies. It is also an important food source for caterpillars of the Common Blue, Green Hair streak and Painted Lady Butterfly species. Birds-foot Trefoil is a very important food source and habitat for Ireland's butterfly species which is why it has been selected for our Throw and Grow Native Irish Seed Bombs. Black Medick is a native Irish wildflower annual that belongs to the clover family and grows on grassy hillsides, mountain tops, coastal and garden areas throughout Ireland from April-September. It's tiny, bright yellow pea flowers are clustered together in rounded 3-8mm heads on long slender stalks. Black Medick is much loved by a variety of Bees and Butterflies as it a good source of nectar, making it a great Throw and Grow Native Irish Seed Bomb choice. 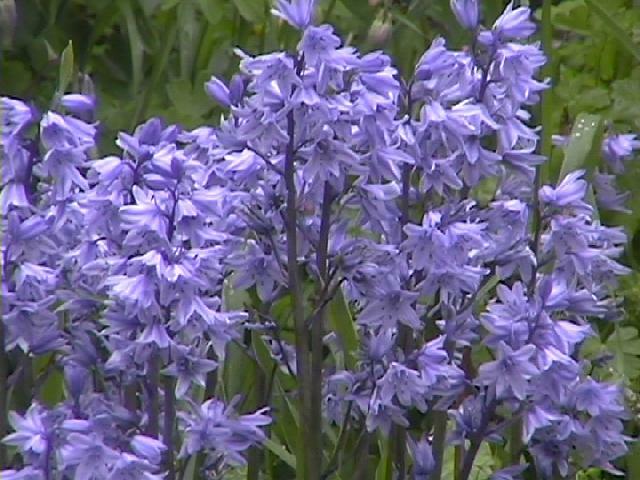 The Bluebell is a Native Irish wildflower perennial and a member of the hyacinth family. Bluebells can be found growing abundantly in native woodlands, forests, grassy meadows, hedgerows and wild garden areas across Ireland. Native Irish Bluebells grow to 40cm in height and flower colours range from the familiar violet-blue to white and even pink on rare occasions. Bluebells produce rich nectar filled flowers from early April to June, making them an important early season food source to Bees, Butterflies and Hoverflies. Bee Colony numbers benefit greatly and increase when they have easy access to wild Bluebell pollen which they bring back to their nests and feed to their larvae. Bluebell wildflowers are a key species to Throw and Grow Native Irish Seed Bombs, and help provide early food for Native Irish Bees and other Bluebell loving wildlife. 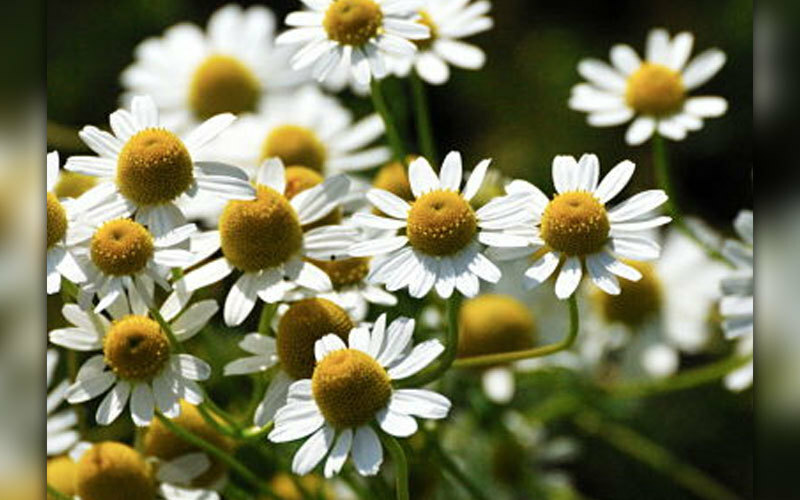 Corn Chamomile is a Native Irish cornfield wildflower annual, growing up to 50cm high. You can spot Corn Chamomile growing along ditches, railways, fields, waste areas and roadside verges where it displays a mass of small white daisies from June to September. 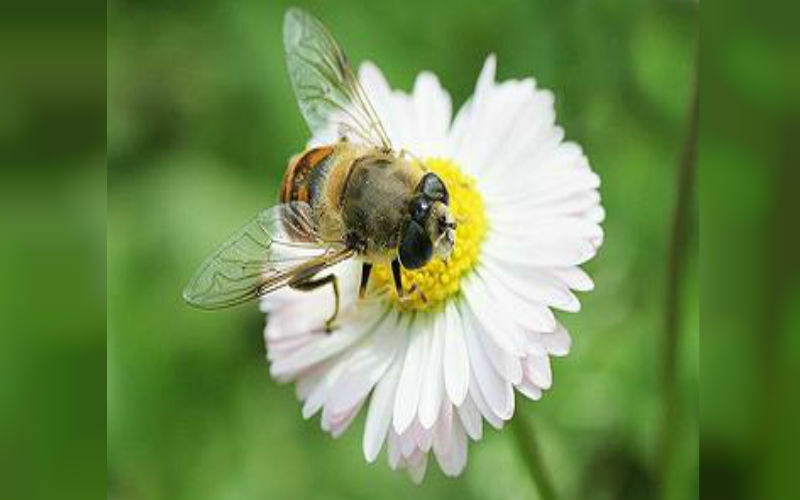 Corn Chamomile is a good nectar producing plant for pollinators and is particularly popular with the hoverfly species making this an ideal choice for Throw and Grow Native Irish Seed Bombs. Selfheal is a Native Irish Wildflower perennial that grows abundantly across areas of the western counties of Ireland. 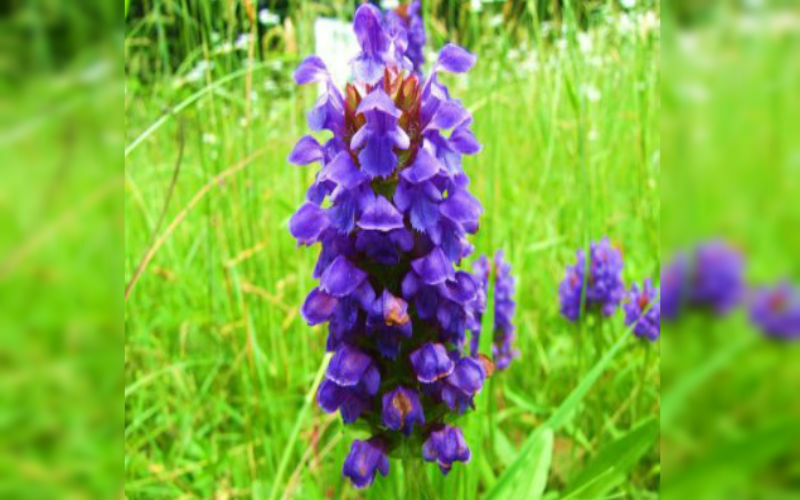 It grows to 50cm in height in moist areas, waste ground, grasslands and woodland edges. It is a perfect ground cover plant and Bees absolutely love its attractive blue-violet nectar rich flowers that they can spot easily with their bee vision. Selfheal is a super Bee loving Native Irish Wildflower and is ideal for Throw and Grow Native Irish Seed Bombs. 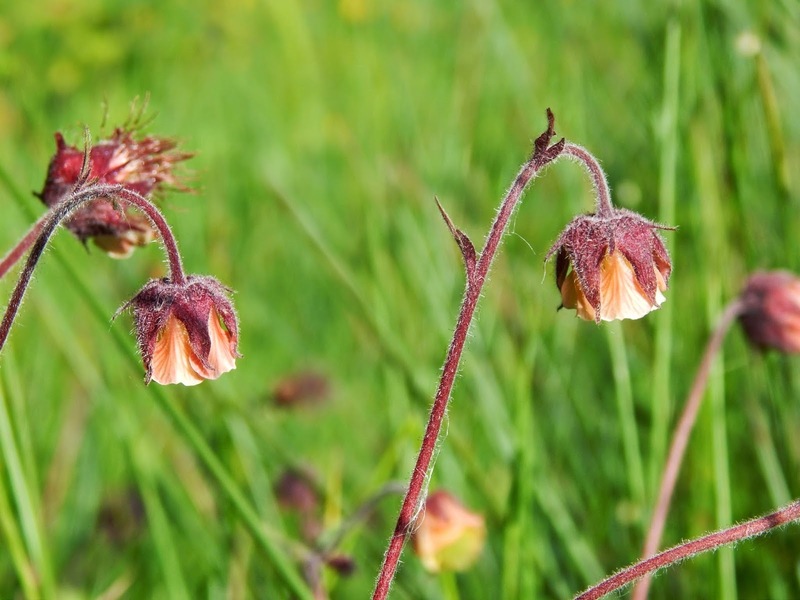 Water Avens is a Native Irish Wildflower perennial that grows to 80cm in height. It is a rare sight in Ireland today but maybe be found in damp meadows, on river banks and mountain ledges. It belongs to the Rose family and has beautiful little nodding bell shaped flowers from April-September. Water Anvens attracts a wide variety of insects and wild Birds love the attractive red seed heads that it produces in the autumn. 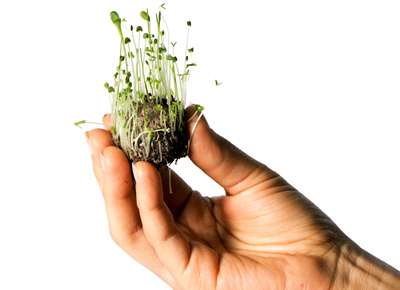 Throw and Grow Native Irish Seed Bombs hold this special native Irish wild flower seed safely inside. Wild Angelica is a Native Irish Wildflower perennial of the Carrot family, found in damp, grassy areas, marshes, and woodlands of Ireland. 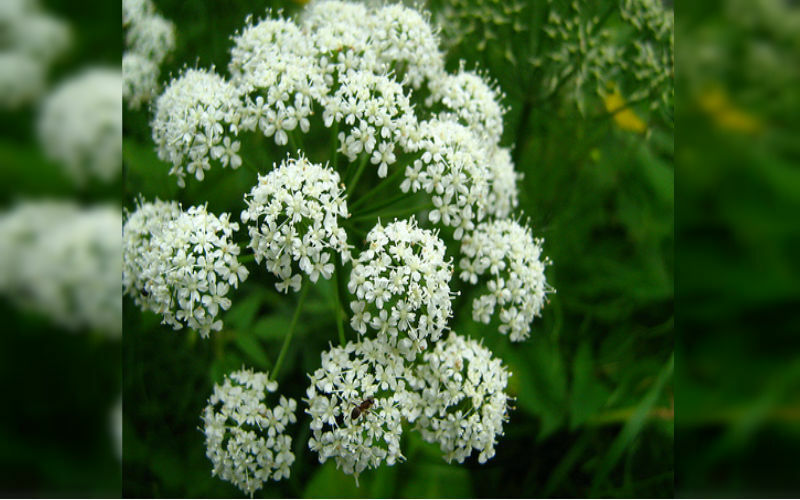 It grows to 1-2m in height and produces umbels of white to pale pink flowers from July-September. Wild Angelica attracts an abundant mix of hungry pollinating insects that feast on its sweet nectar rich flowers. It also receives plenty of night shift pollinating moths and insect diners making this a very busy plant 24 hours a day. 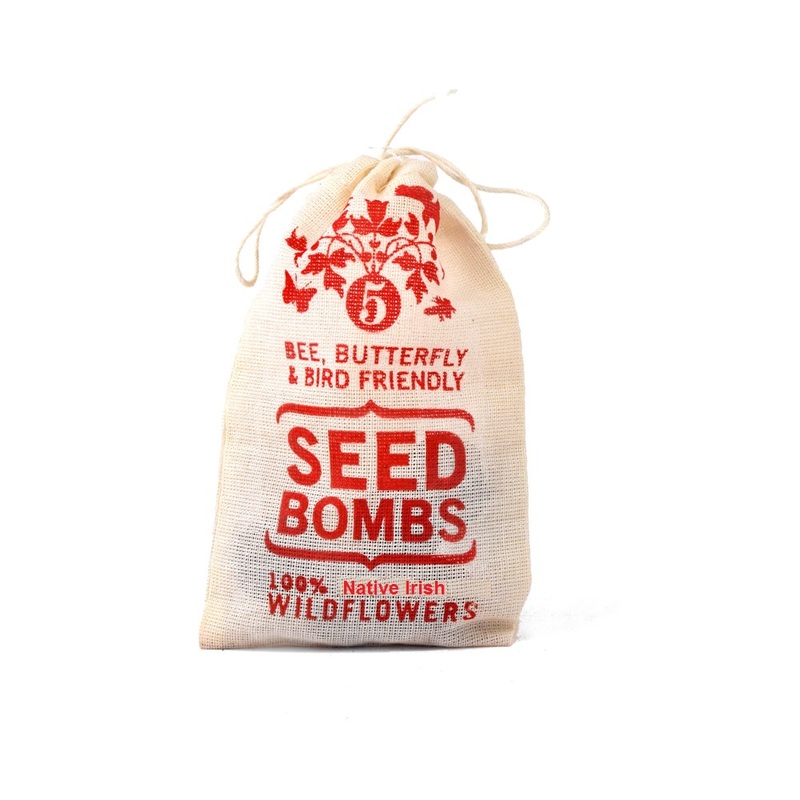 Throw and Grow Seed Bombs are rich with Wild Angelica seed to feed Ireland's native pollinating insects. Wild Carrot is a Native Irish Wildflower biennial belonging to the Parsley family. It grows up to 1m in hedgerows, along ditches and undisturbed land areas across Ireland. 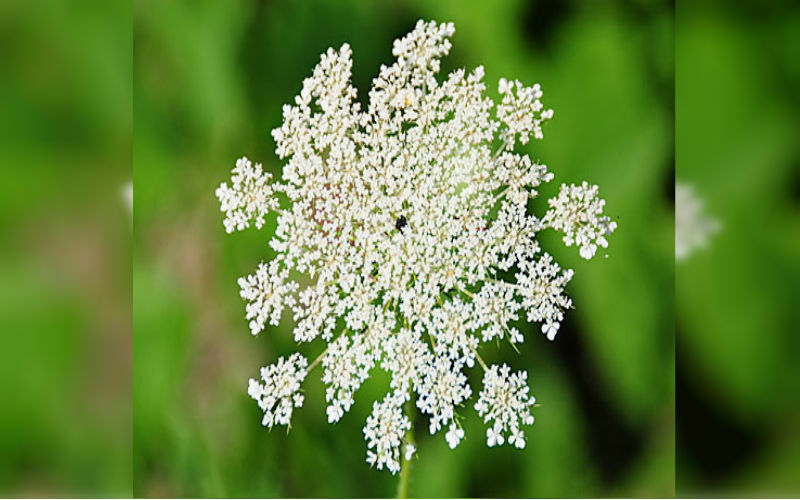 Wild Carrot produces leaves and a strong taproot in its first year, which benefits all surrounding plants. During its second year it produces tiny nectar filled white flower heads that attract a variety of pollen gathering insects such as Bees, Butterflies, Hoverflies and Beetles. Wild Carrot is a Native Irish wildflower super food packed in our Native Irish Throw and Grow Native Irish Seed Bombs. 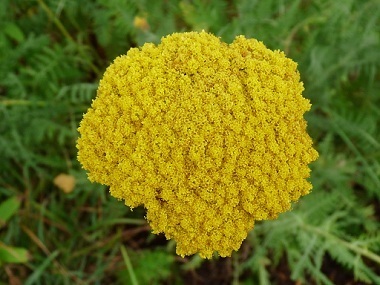 Yarrow is a Native Irish wildflower perennial of pastures, roadsides and wasteland areas throughout Ireland. It produces beautiful tiny white flowers from June right through to November and grows to 50cm in height. Yarrow is a very useful companion plant as it is very good at repelling many insects regarded as pests whilst attracting beneficial insects for pollination purposes. Birds such as starlings like to line their nests with yarrow to inhibit parasites. In the first year of growth, Yarrow will produce a strong taproot system which will allow other surrounding plants to tap into for water supply, making Yarrow a superb companion plant. Native Irish Butterflies such as the Meadow Brown, Large Skipper, Marbled White, Peacock, Small Copper, Small Heath and Wall varieties love to feast on Yarrow nectar, as do hoverflies which makes it a super addition to our Throw and Grow Native Irish Seed Bombs. Ox-Eye Daisy is a Native Irish Wildflower perennial found in meadows, waste ground, railway banks and road side verges across Ireland from June-October. 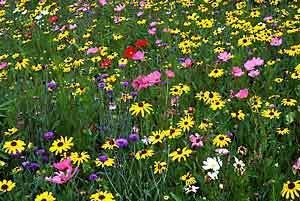 It grows to12" and attracts a wide range of pollinating insects particularly Bees, Butterflies and Hoverflies. Ox-Eye is one of the few flowers that attract the marbled white butterfly which is in serious decline and almost extinct in Ireland. Our Throw and Grow Native Irish Seed Bomb can help to address this issue and help towards bringing back healthy Marbled White Butterfly colonies in Ireland. 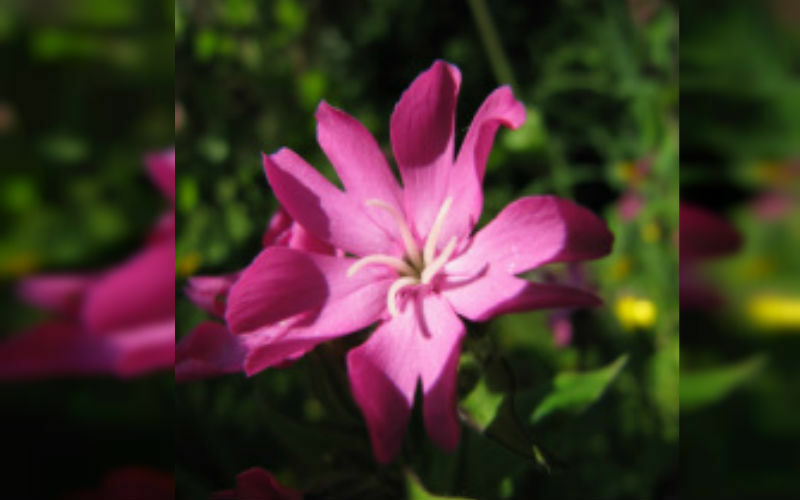 Red Campion is a Native Irish Wildflower perennial that grows to 1m in height and blooms from May-October. Red Campion offers an abundance of rich nectar to many of Irelands Bees and Butterfly varieties. Several native Irish moth species feed on the foliage too. Red Campion is now rare in Ireland but once grew in abundance; look out for it in shady hedgerows, grassy banks and native woodlands. Red Campion can survive mild winters and flowers right up to December or January if temperatures allow, offering vital winter forage for insects. 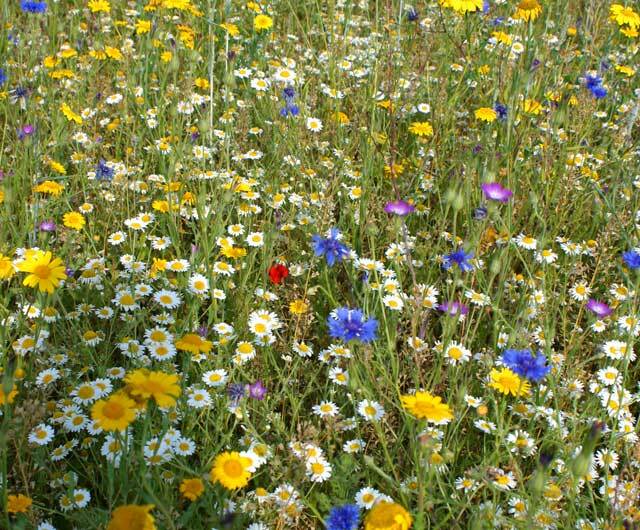 Throw and Grow Native Irish Seed Bombs are a great way to re-introduce this native Irish wildflower back into countryside areas and gardens for wildlife to enjoy. 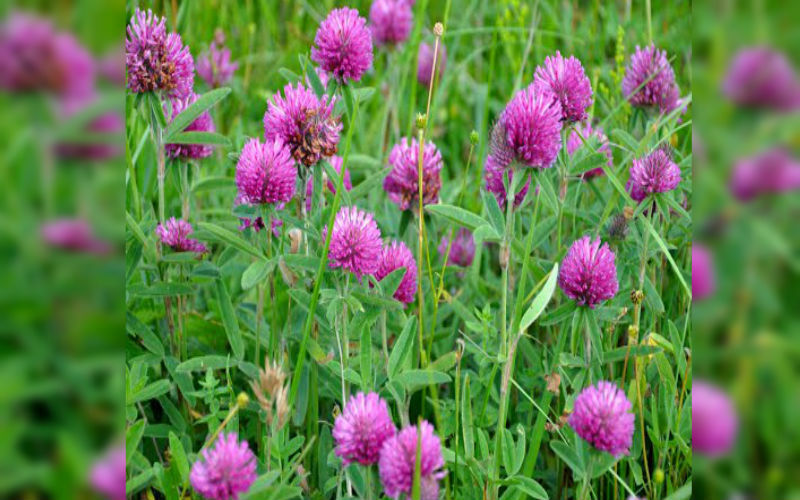 Red Clover is a Native Irish Wildflower that once grew in abundance all over Ireland. It is a tap rood perennial legume that spreads easily throughout well drained soils and is known to fix Nitrogen into the soil for other plant species to absorb and thrive on. Red Clover is low growing and blooms from May-October offering rich nectar to an abundance of native Irish pollinators. It is a favourite forage food of the Native Irish Honey Bee and also the Great Yellow Bumblebee, Solitary Bees, Moths and many other insects. 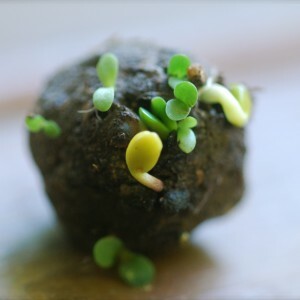 Throw and Grow Native Irish Seed Bombs are packed full of Red Clover seed for the purpose of providing valuable nutrition to native Irish pollinators. 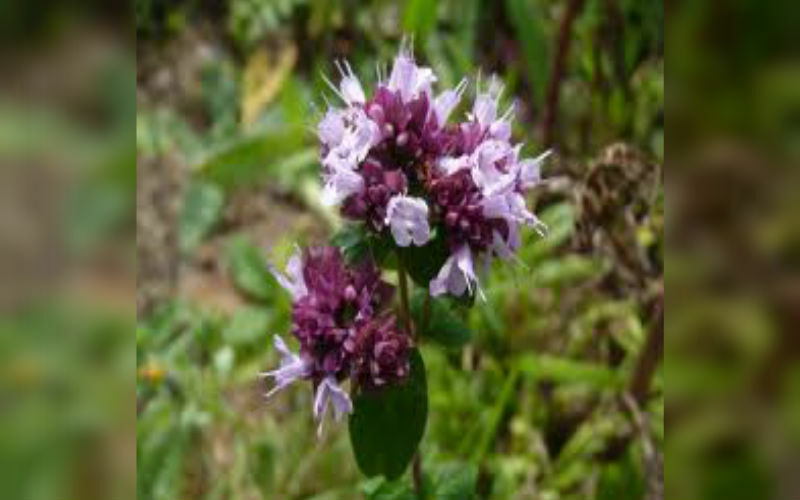 Marjoram is a Native Irish wildflower perennial of the Origanum family that can be found growing naturally in the Burren National Park in Co. Clare, old native Irish woodland areas and their bog lands but is rare elsewhere in Ireland. Marjoram provides pink-mauve flowers from July to September and grows to 80cm in height. 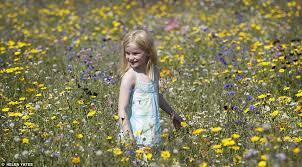 It is loved by a wide variety of native Irish pollinator species including Bees and Butterflies. Marjoram is a nectar rich hotspot of activity when in full bloom making it a worthy selection for our Throw and Grow Native Irish Seed Bombs. 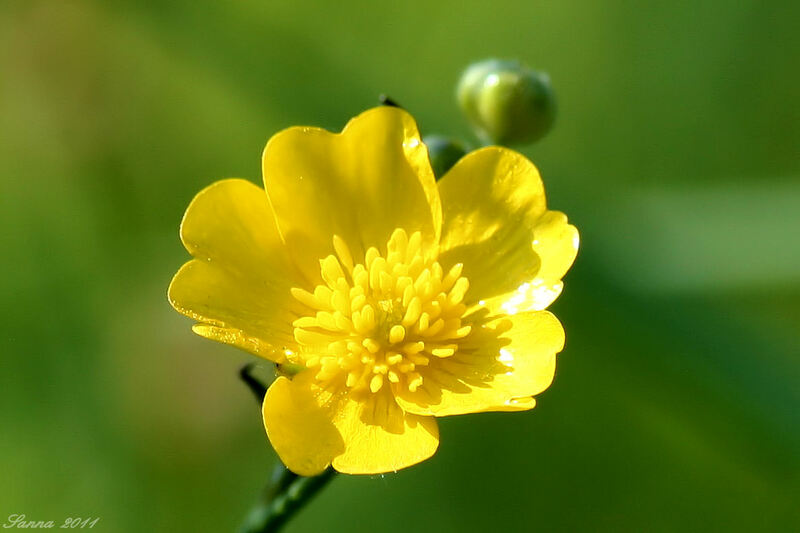 Meadow Buttercup is a Native Irish Wildflower perennial herb that grows abundantly all over Irelands gardens, meadows, ditches and woodland areas between May- September. Meadow Buttercup provides an important rich nectar source that is particularly attractive to native Irish Bees, Butterflies and Moths. Native Irish Seed Bombs are loaded with native Irish Meadow Buttercup seeds for Irelands nectar loving Native Irish pollinators to enjoy. Meadowsweet is a Native Irish Wildflower perennial that blossoms from June-September and grows up to 4ft in height. 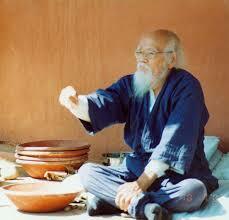 It has beautiful tufts of delicate creamy-white flowers that have a very distinctive fragrance. 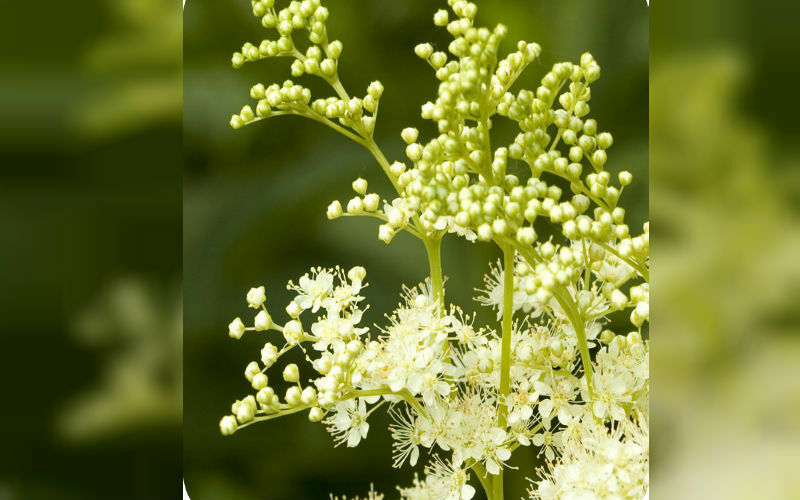 Meadowsweet can be found in bog lands, around ponds, lakes lands, roadsides, river banks, meadows and woodland areas. Once found in abundance all over Ireland's native woodlands and although it doesn't produce nectar, native pollinators still visit the flowers and pick up its pollen which is brought back to their nests or hives for their larvae to feed upon. Meadowsweet is a vital food for native Irish pollinator larvae and perfect for our Throw and Grow Native Irish Seed Bombs. Mullein is a Native Irish Wildflower biennial ; it forms its leaves in the first year and produces tall rods of yellow flowers in its second year from June-September. 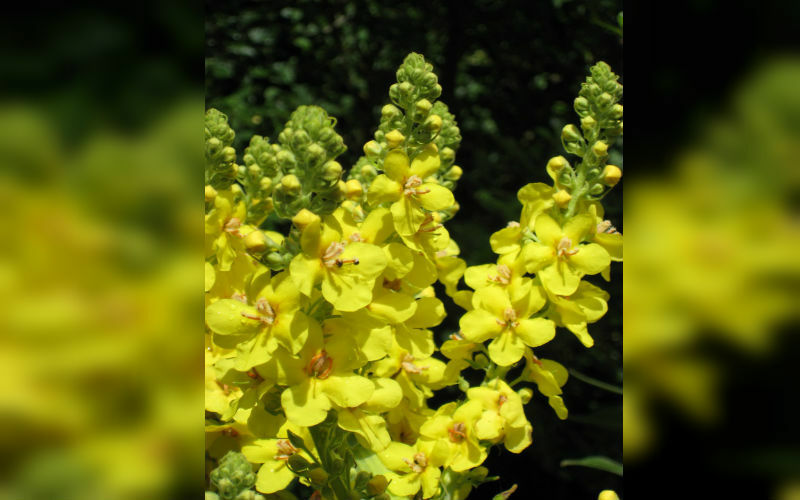 Mullein can grow up to 10 ft in height and thrives in poor soil in abandoned areas. It attracts many pollinating insects including Bees and butterflies and also offers a tasty meal from its leaves to grasshoppers and other leaf munching insects. Mullein leaves also offer valuable protection during the colder months of winter to ladybugs and other insects in need of shelter. Mullein is a valuable Throw and Grow Native Irish Wildflower for our made in Ireland Seed Bombs. Kidney Vetch Native Irish Wildflower is a beautiful low growing plant belonging to the Pea family and covered in yellow flowers, which fade to orange from June to August. Kidney Vetch grows to 30cm in height and is found on coastal sand dunes, and abandoned farmland areas across Ireland. Kindey Vetch is the sole larvae food of Irelands rare and vulnerable Small Blue Butterfly. This tiny butterfly will only lay its larvae on native Irish Kidney Vetch, as most native Irish butterflies they too have their favourite native wildflower habitat. Kidney Vetch is also a good nectar source for the Common Blue, Large Skipper, Ringlet and Small Heath Butterflies and is also visited by Bumblebees and other pollinator species. Kidney Vetch has a strong tap root system that will draw water from deep within the earth and allow other plants to "tap in". Kidney Vetch it is another Beelicious Throw and Grow Native Irish Seed Bomb selection. Lesser Knapweed is a member of the Daisy family and grows to a height of 30-80cm with singular flowers that look a little thistle like and flower from July-September. 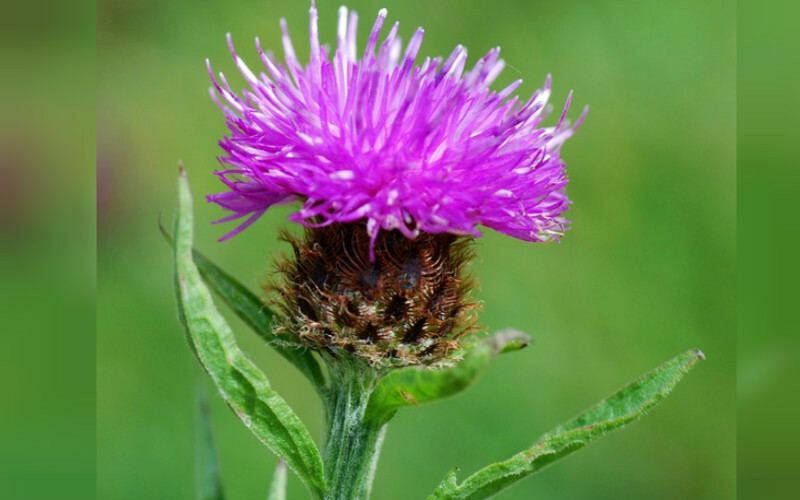 Lesser Knapweed develops a strong and deep tap root that surrounding plants "tap into" for a free water supply. Native Irish Lesser Knapweed is a very important nectar source for 18 native Irish butterflies such as the Small and Large Skipper, Brimstone, Peacock, Common Blue, Painted Lady, Small Tortoiseshell, Comma, Wall and Meadow Brown species. 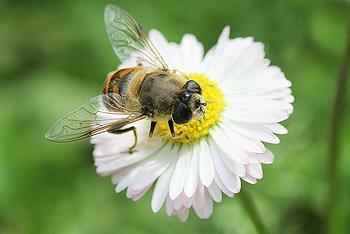 It also attracts a variety of Bees including the Great Yellow Bumblebee, Hoverflies and other pollinating insects. Lesser knapweed seed heads are eaten and scattered by finches in autumn making it a winning choice for our Throw and Grow Native Irish Seed Bombs. Lady's Bedstraw is a Native Irish wildflower perennial belonging to the rubiaceae family and displays a stunning carpet of tiny yellow wildflower clusters From July to September. 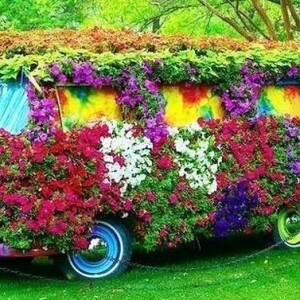 It grows up to 3ft in height and provides good ground cover. Lady's Bedstraw grows wild in coastal locations around Ireland and likes sandy terrain of the dunes. 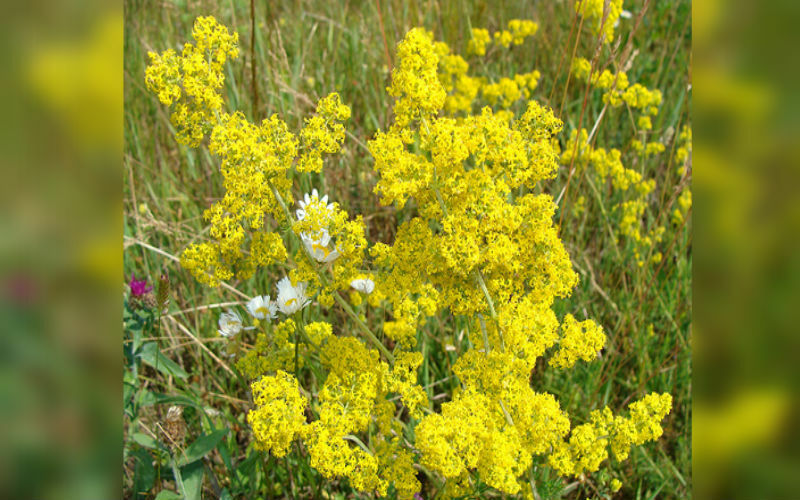 Lady's Bedstraw is a good source of food for caterpillars and moth species especially the Hummingbird Hawk Moth and the Broad-bordered Bee Hawk Moth. 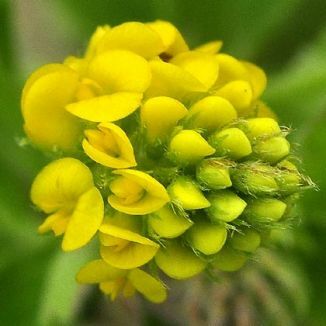 Lady's Bedstraw is a valued addition to our Throw and Grow Native Irish Seed Bombs. Hemp Agrimony is a native Irish perennial wildflower belonging to the Daisy family. 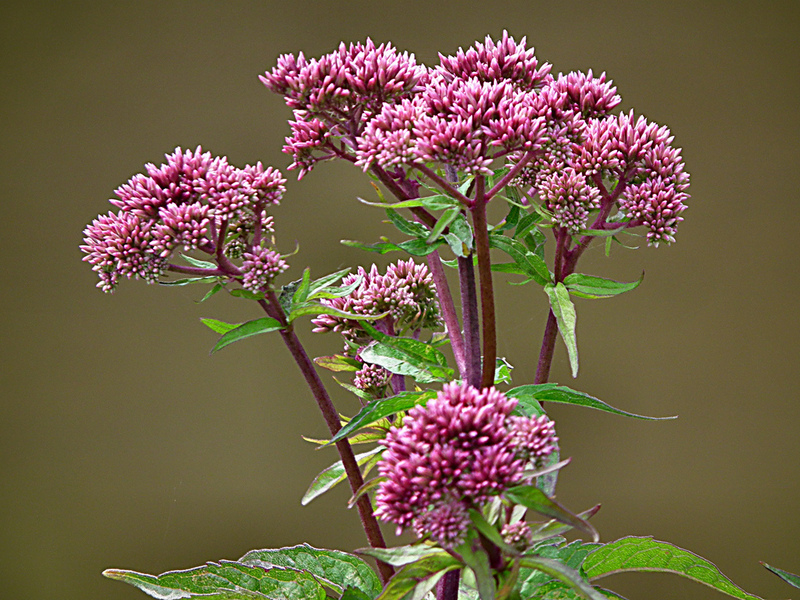 Hemp Agrimony grows to 1.5 metres high in damp wooded areas, stream banks, rich hedgerows and lake shores. Many nocturnal pollinator species of Butterfly, Moth and Bat like to visit Hemp Agrimony at night and feast on its nectar. 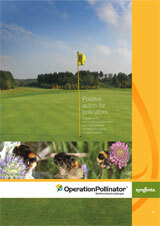 This plant is of great importance as it feeds native Irish pollinators around the clock from July to September. Hemp Agrimony is a valuable addition to our Native Irish Seed Bombs as it helps increase biodiversity levels. Field Scabious is a Native Irish wildflower perennial belonging to the Teasel family and can be found in undisturbed land areas such as railway embankments, hedgerows, ditches and wasteland areas. Its bluish-lilac flower heads grow on long slender stems and can grow a metre tall. Field Scabious flowers are composed of numerous, tube-shaped florets, which are an excellent source of nectar for bees and butterflies. They never fail to bloom throughout the whole summer and last well into autumn providing a good long season of rich nectar. Field Scabious has a long tap root system that goes deep into the earth and other plants tap into for water supply. 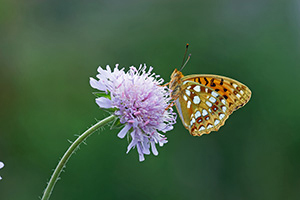 The Brimstone Butterfly and the rare Marsh Fritillary Butterfly are known to feed on Field Scabious which is why they make a great Throw and Grow Native Irish Seed Bomb choice. Cowslip is a Native Irish wildflower perennial found on some roadsides, pastures, cliff tops and hedgerow areas throughout Ireland. 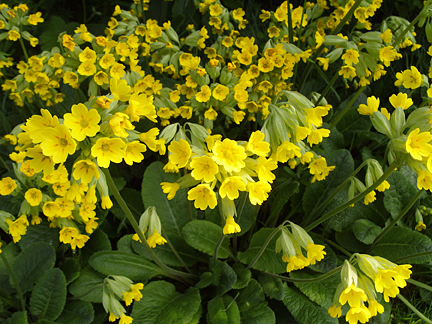 Cowslip belongs to the primula family while displays beautiful yellow flowers throughout April and May and grows to 25cm in height, with up to 30 nectar-filled flower heads per stem. Cowslip is pollinated by long tongued bees, butterflies, moths and bee flies and is present in our Native Irish Seed Bombs for early spring flowering Nectar for a variety of pollinating species. Foxgloves are Native Irish wild flower biennials found in native Irish woodlands, hedgerows and railway embankments and once grew in abundance all over Ireland. 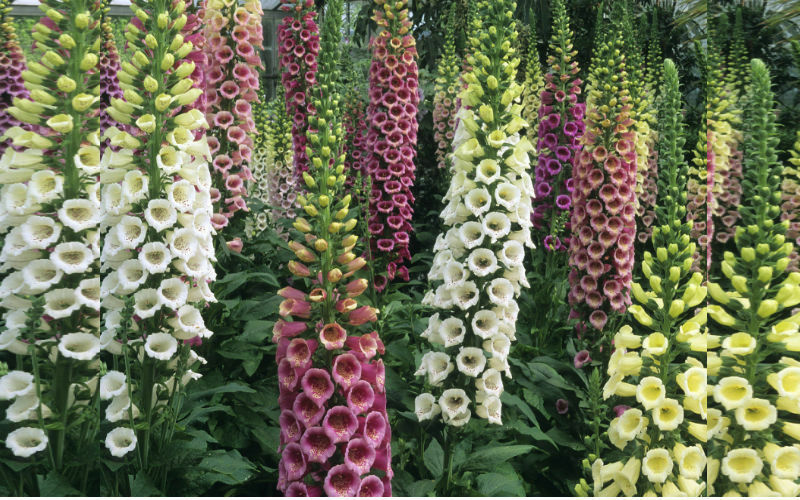 The Foxglove is a favourite flower of the native Irish honey-bee; its tall spikes grow up to 2.5m in the height of summer. Bumblebees are also frequent visitors to Foxgloves who rely purely on Bees for pollination purposes; they go onto produce thousands of seeds which will take 2 years to flower into Bee forage. It is perhaps one of the most handsome indigenous Irish wildflower species and one of the most beneficial to bees which is why it was chosen for our Throw and Grow Native Irish Seed Bomb. Purple Loosestrife is a stunning Native Irish Wildflower that produces an abundance of nectar rich flowers from June-September attracting a variety of insects including Bees and Butterflies. There are also two species of weevil and one moth species that feed exclusively on purple loosestrife. 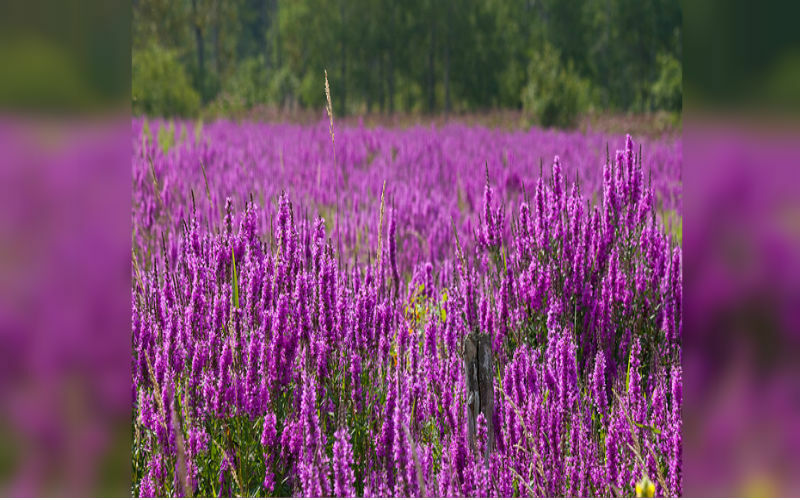 Purple loosestrife can be found in ditches, wet meadows, canals, marshes and in lakeside areas growing up to 1.5m in height. Throw and Grow Native Irish Seed Bombs are fully loaded with Purple Loosestrife for the benefit of Native Irish Pollinators. 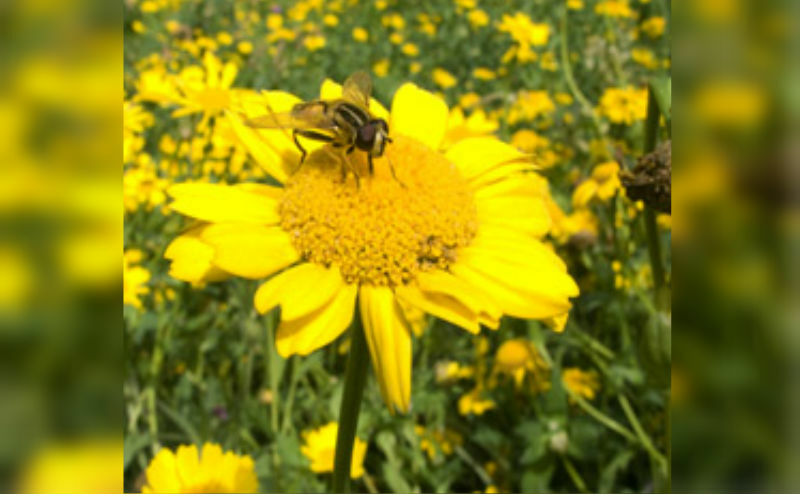 Corn Marigold is a good nectar rich plant and valuable for many pollinating insects including flies and hoverflies, it is a worthwhile addition to any wildlife garden or meadow that is why it was selected for our Native Irish Wild Flower Seed Bombs. Corn Poppy is a Native Irish wildflower annual that is found in fields, ditches, wasteland areas and gardens all over Ireland. 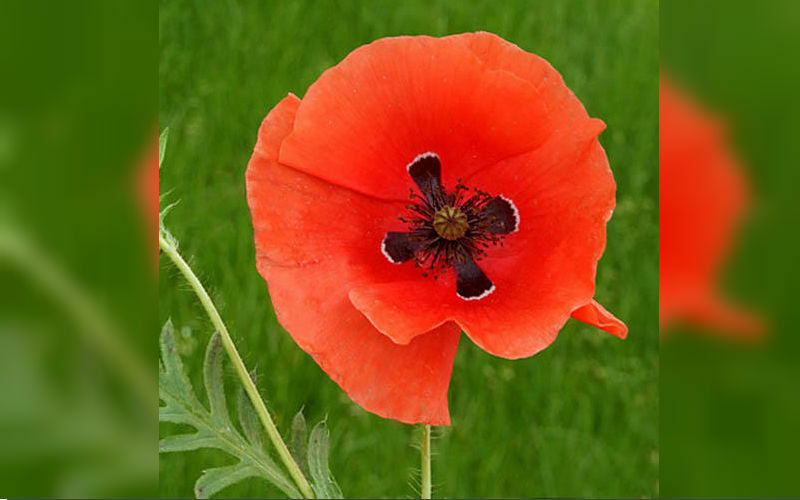 Corn Poppies produce bright scarlet red flowers from June-September which are attractive to many insect species who busily collect its pollen and bring it back to their nests. Corn Poppies are a good addition to our Native Irish Seed Bombs. CornCockle is a Native Irish wildflower annual that has become rare in Ireland but maybe found in wasteland areas, railway embankments and undisturbed ground areas of Ireland. 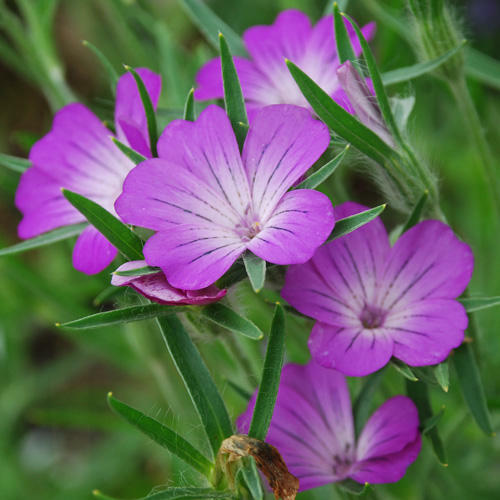 The pink/purple flowers of the native Irish corncockle bloom from June-September and grow to a height of 60cm offering height to garden border areas. Corncockle flowers attract many insect pollinators including bees and butterflies making it a good Throw and Grow Native Irish Wildflower choice. Cornflower is a Native Irish cornfield wildflower annual growing up to 90cm in height and a rare sight in Ireland today. 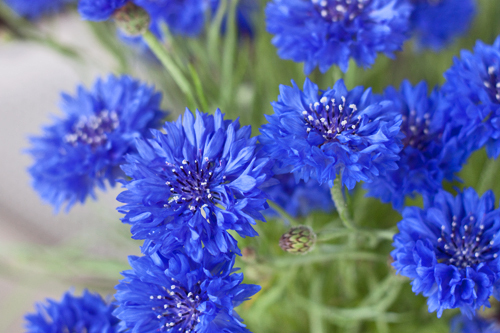 Cornflowers produce beautiful cobalt blue colour flower heads that are adored by bees and easily visible to them with their Ultra Violet bee vision. Many pollinators visit Cornflowers and native wild birds feast on its seeds. 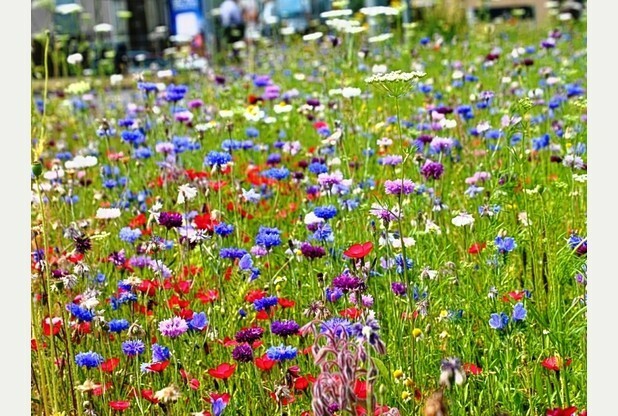 Cornflowers are an important wild food for many of Ireland's wildlife species which is why it is present in our special blend of Throw and Grow Native Irish Seed Bombs. 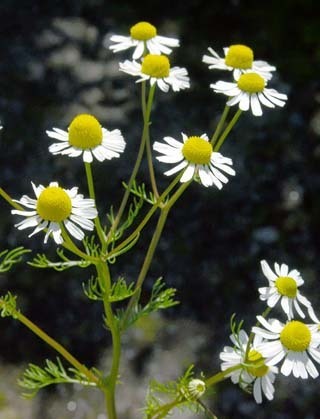 Scented Mayweed is a Native Irish Wildflower perennial that grows to a height of 60cm and produces beautiful white daisy type flower heads from June-October. 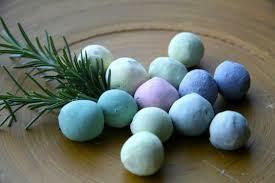 It grows in fields, wasteland, roadsides, ditches, and gardens. Scented Mayweed is of the Chamomile family and attracts a host of different species of Bees including Bumblebees and flies that bring pollination and allow the plant to produce thousands of seeds. Throw and Grow Native Irish Wild flower Seed Bombs have plenty of Scented Mayweed seed tucked inside for Irish native pollinator species to feast upon all season. 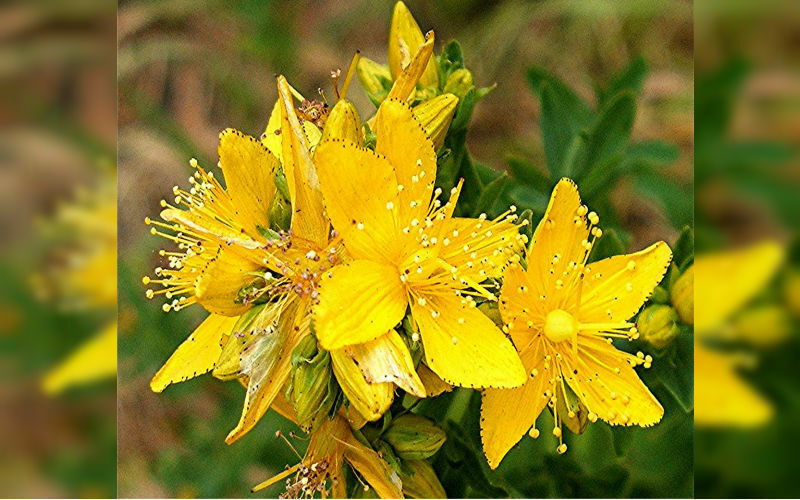 St John's Wort is Native Irish Wildflower perennial that grows up to 75cm in height along roadsides, meadows and open woodland areas of Ireland. 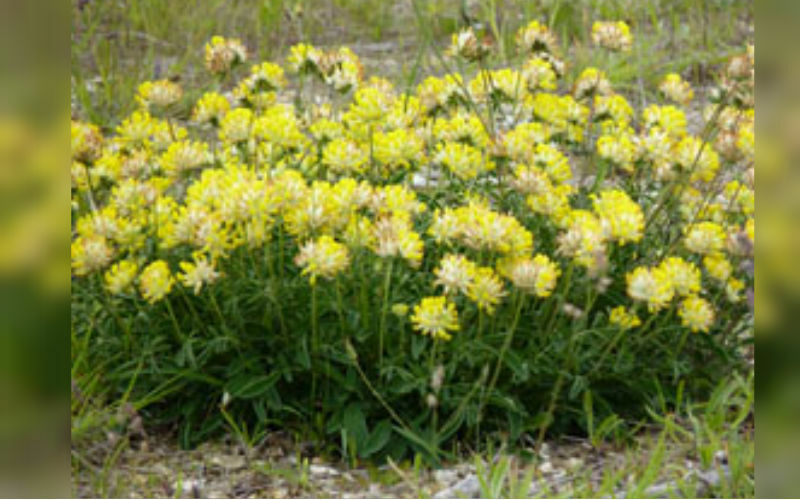 It produces pale to dark yellow flowers from May-September. Many Native Irish butterfly species feed on St. John's Wort and it is the only known food for the caterpillar of the Treble-bar moth species. St John's Wort is a valuable food for Native Irish pollinators and a great addition to Throw and Grow Native Irish Seed Bombs. Lemon Balm was once a Native Perennial herb in the ancient world of Ireland. 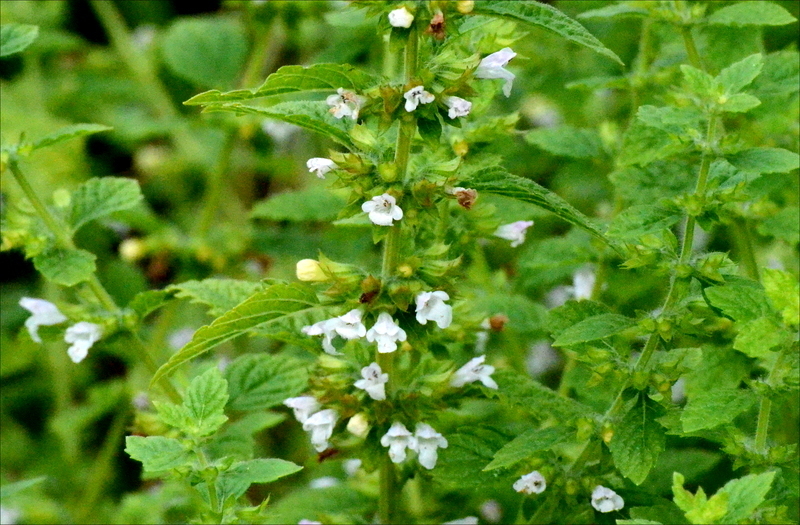 It belongs to the Mint Family and can grow up to 5ft in height. Lemon Balm displays white to lavender coloured flowers from July-September, attracting native Irish Honey Bees, Butterflies and a host of other pollinating insect species. This Bee loving herbal wildflower is both a medicinal and a food source; it has a long-standing reputation, been used since ancient times around Beehives by beekeepers. Lemon Balm proven as a natural de-stressing food for Honey Bees and it repels the varroa mite that has been invading Bee colonies for many years. Lemon Balm is a very important addition to Throw and Grow Native Irish Seed Bombs and offers many benefits to Native Irish Bees. Yellow Agrimony is a Native Irish wildflower perennial that grows along roadside verges, hedgerows and wasteland areas of Ireland. 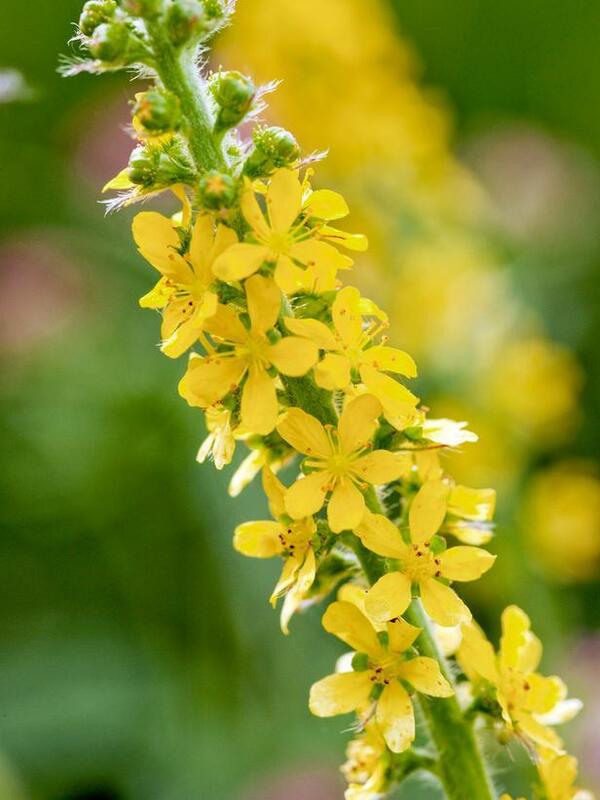 Yellow Agrimony grows to 2ft in height and produces beautiful bright yellow flowers on slender spikes from June-September. Yellow Agrimony flowers are abundant with rich nectar and pollen that attracts Ireland's native Honey Bees, Butterflies, Flies, and Hoverflies. Certain species of Moth larvae and caterpillar also like to feed on the leaves of Yellow Agrimony making it a perfect choice for our Throw and Grow Native Irish Seed Bombs. Wild Thyme is a Native Irish wildflower perennial that grows on dry grassland, hills, mountain tops, stone walls and coastal dunes in parts of Ireland. 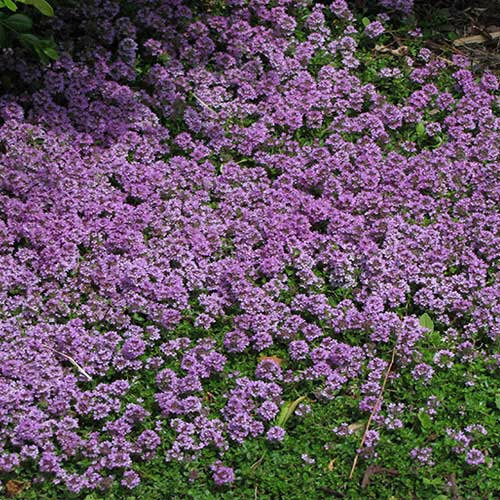 From June-September Wild Thyme displays pink-purple flower heads on low growing creeping stems. Wild Thyme is the main larval food plant of the Large Blue Butterfly, which became extinct in Ireland in the 1970's. Wild Thyme wild flowers are harvested by many other Irish insect pollinator species around Ireland. Wild Thyme is a powerful repellent of the varroa mite, responsible for infesting native Irish Honey Bee colonies since the late 1990's. Honey Bees feast on the rich nectar of Wild Thyme and carry its medicinal pollen back to their nests to feed to their bee larvae. Wild Thyme pollen is rich in medicinal compounds and provides many health benefits to Honey Bee larvae whilst destroying the destructive varroa mites at the same time. Native Irish Wild Thyme is of great benefit to Bees, Butterflies and a host of other pollinating insect species, a valuable addition to our Throw and Grow Native Irish Seed Bombs.